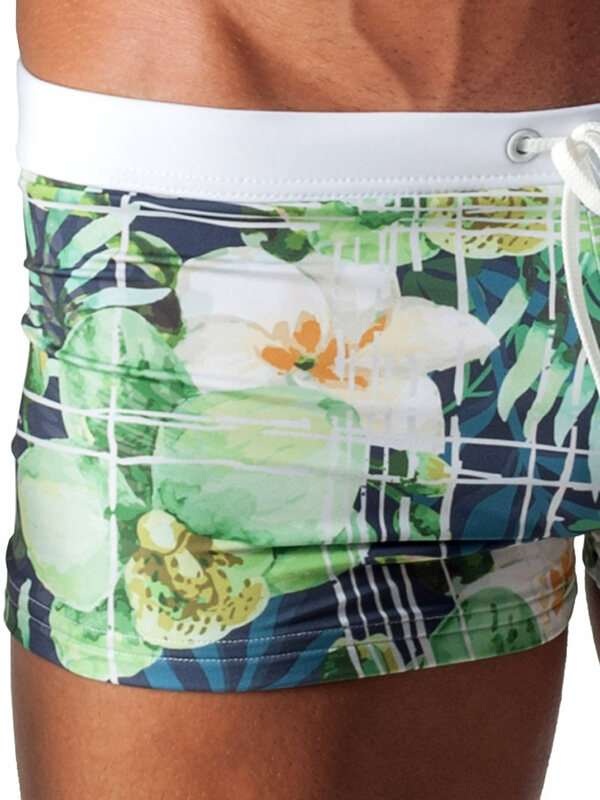 Geronimo 1504b1 White gorgeous low rise men’s swim trunks uses a bold, bright, fun floral print and is just as practical as it is eye catching. For added security there is a cleverly hidden drawstring at the contrast white waistband. The swimwear is a fitted style for greater support. The fabric is silky smooth and lightweight, quick drying and is beautifully tactile with great elasticity for a better fit.